What’s on your wishlist for your scicomm journey? How can we rally as a community to help you along the way — and do our part to keep science spicy in the Capital Region! 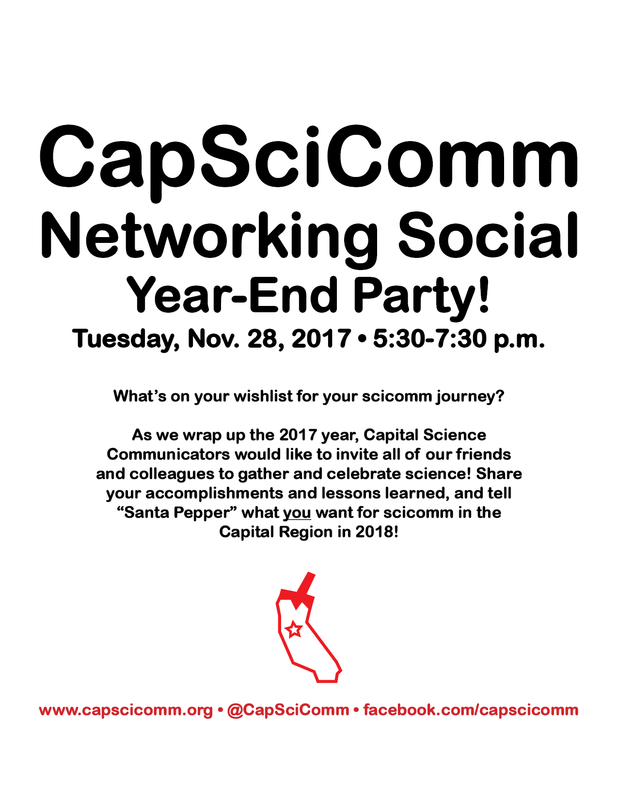 As we wrap up the 2017 year, Capital Science Communicators would like to invite all of our friends and colleagues to gather and celebrate science! Share your accomplishments and lessons learned, and meet up with faces familiar and new. Plus, we’ll have a “Dear Santa Pepper…” mailbox on hand, so you can write down what you want for scicomm in the Capital Region in 2018 — and enter a drawing for a soft and cozy CapSciComm t-shirt! As always, we welcome all professionals and students in journalism, public relations, creative, policy, public science, and research. Please RSVP to help us plan, and we’ll see you on November 28th.